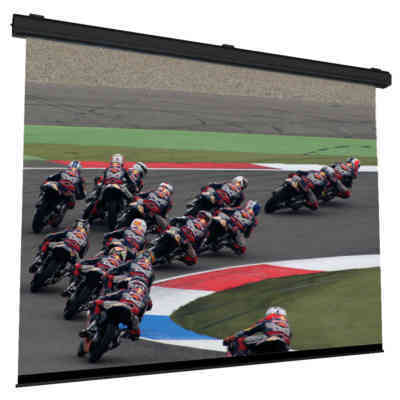 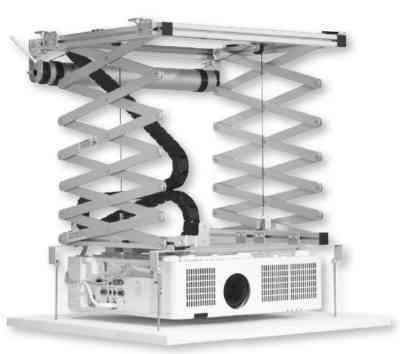 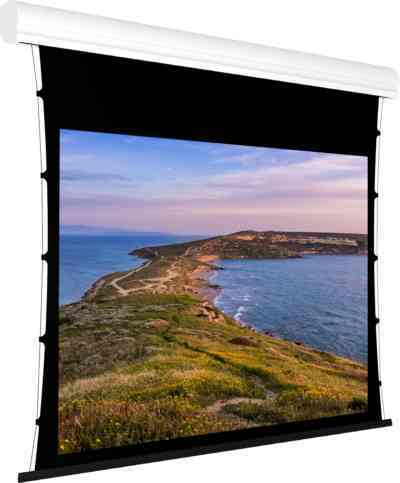 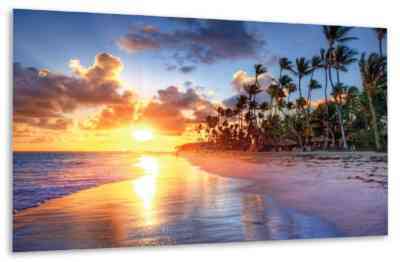 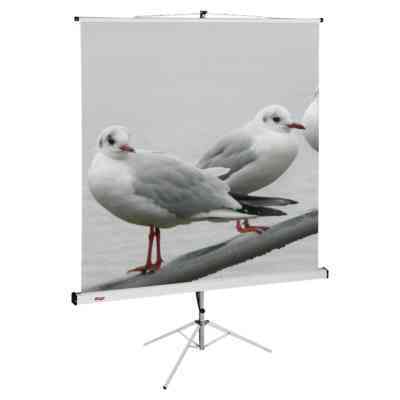 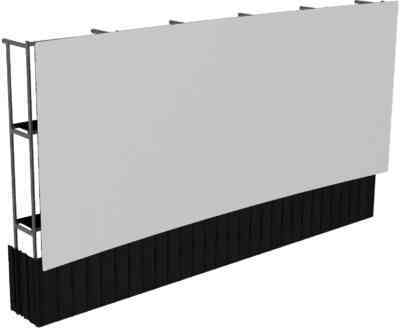 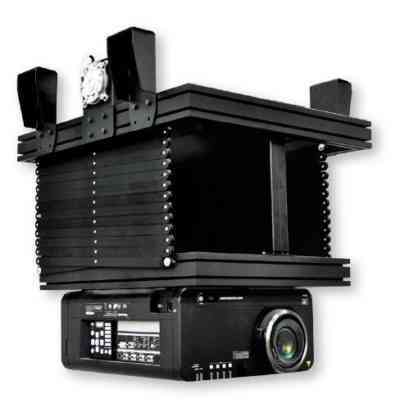 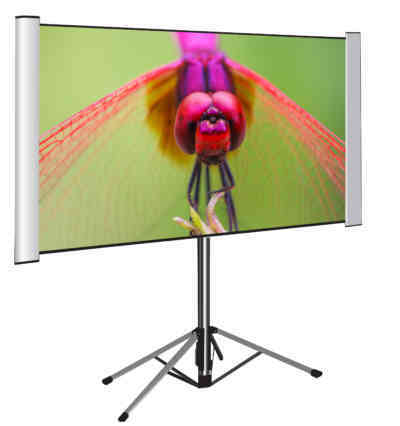 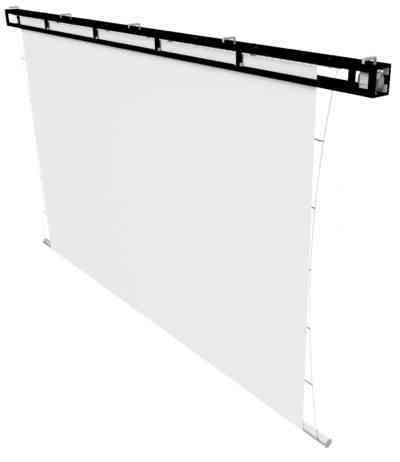 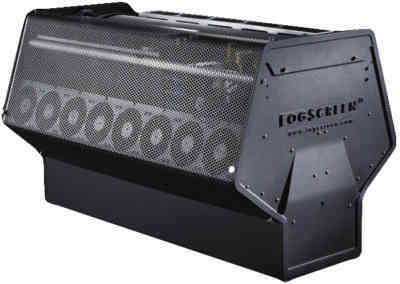 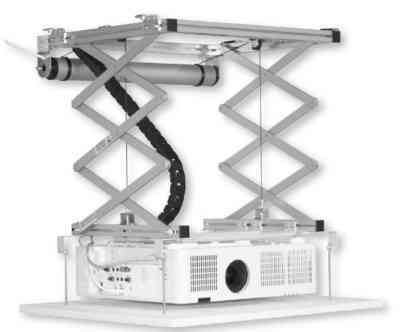 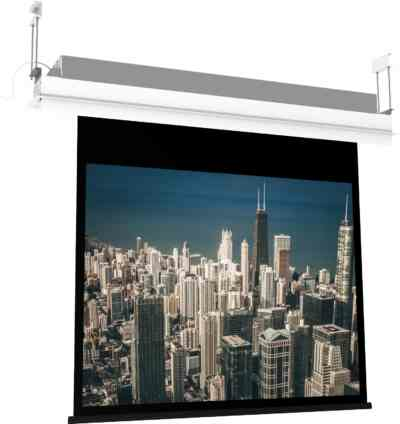 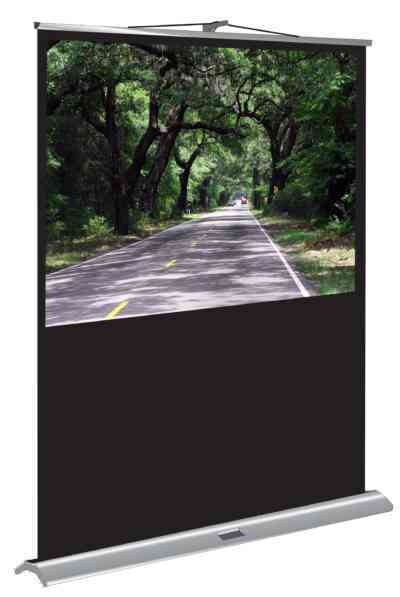 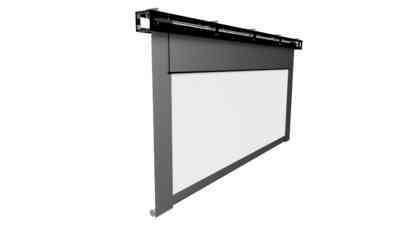 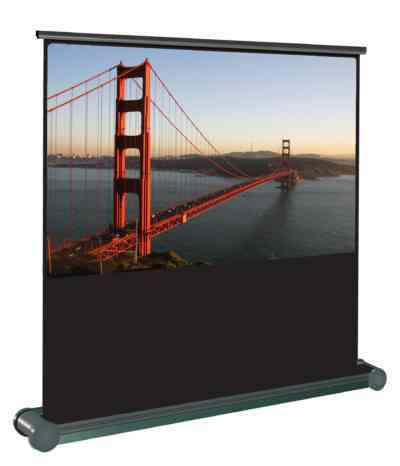 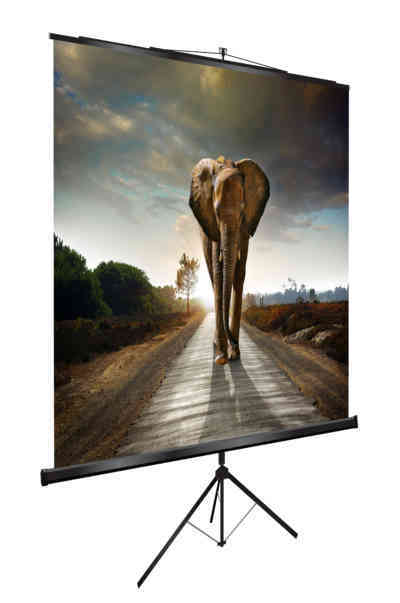 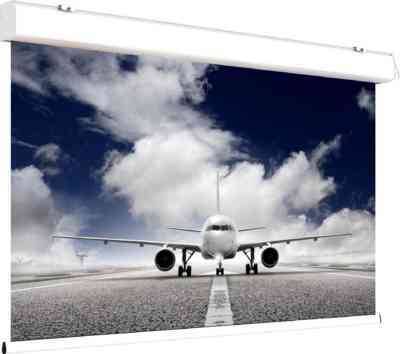 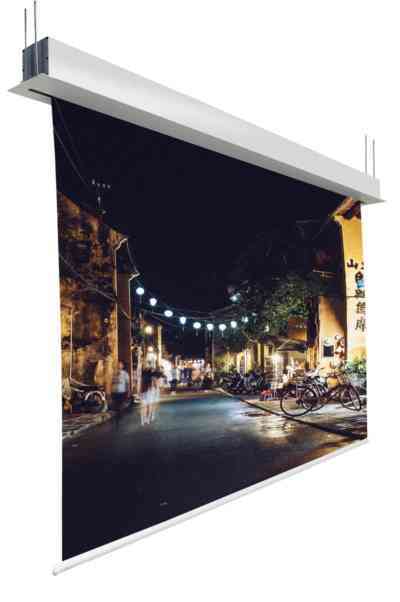 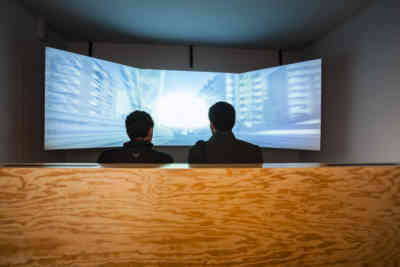 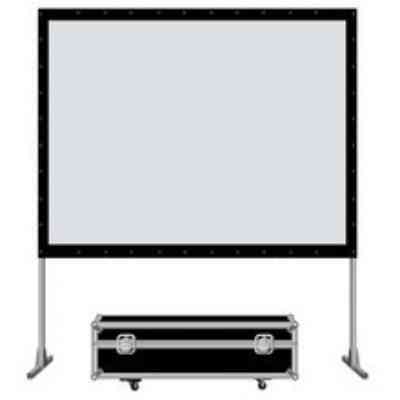 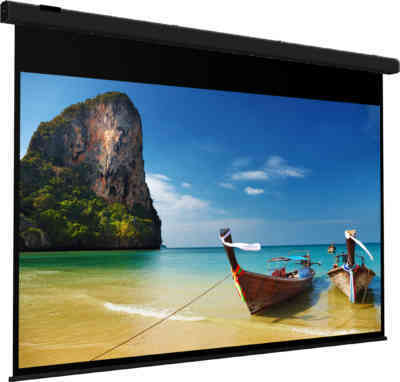 Manually-operated roll up projection screen equipped with the controlled screen slow-return mechanism, which ensures the quiet controlled return of the screen into the case. 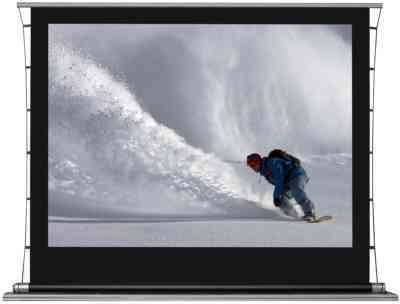 The SUPER GEAR has an high quality aluminium casing. 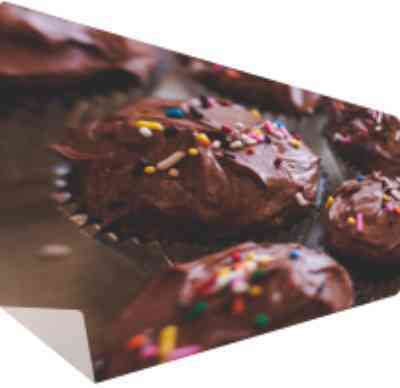 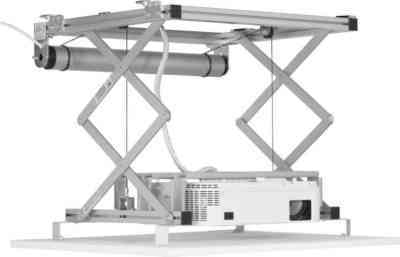 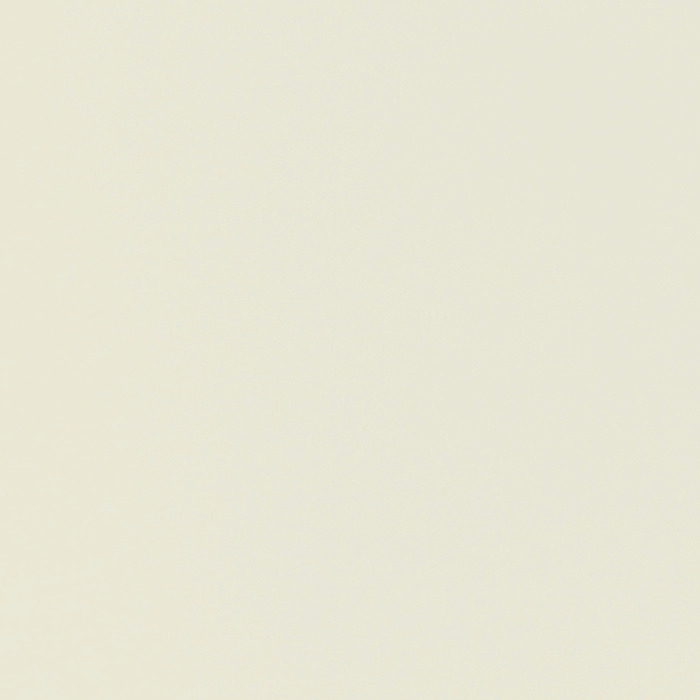 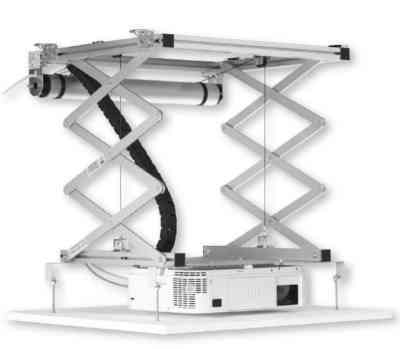 Speed Solo mounting system allows a direct installation on walls and ceilings made it easier. 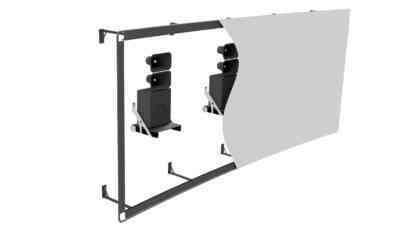 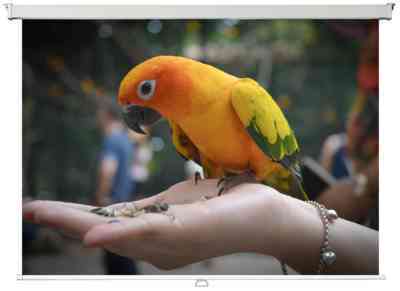 The thanks to its mounting lugs in which the screen slides to block with a simple spanner. 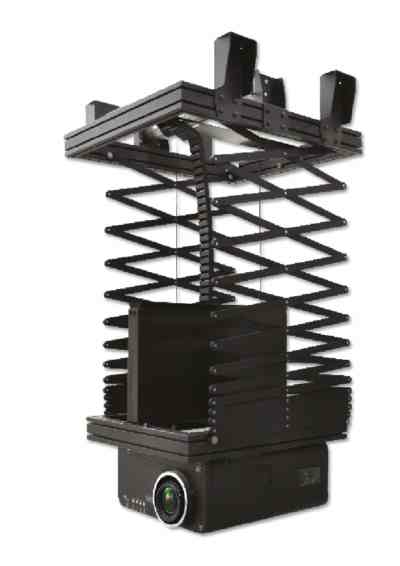 Stopping device at any height (every approximately 13 cm). 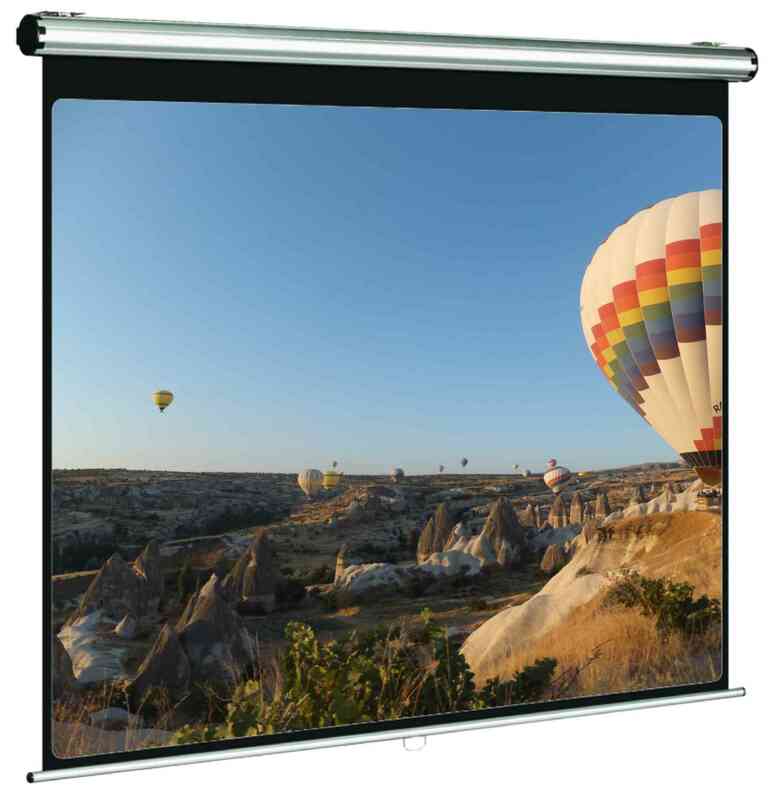 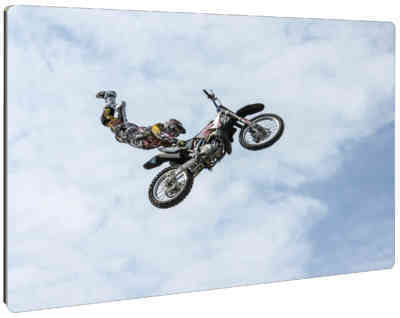 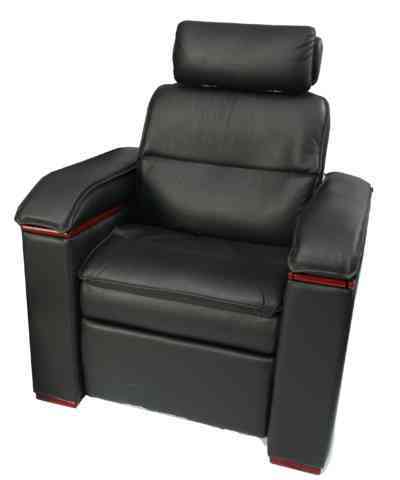 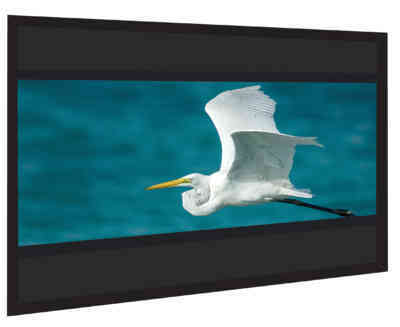 Home Cinema range : opaque projection surface with black borders for 4/3 formats and with an extra 30 cm drop for 16/9 formats. 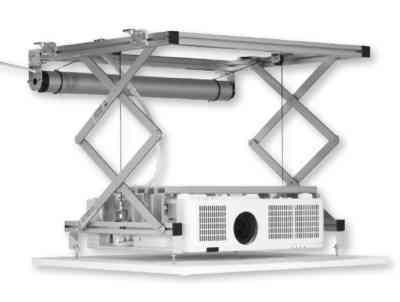 SPEED SOLO SYSTEM : Easier and quicker to install, thus only by one person. 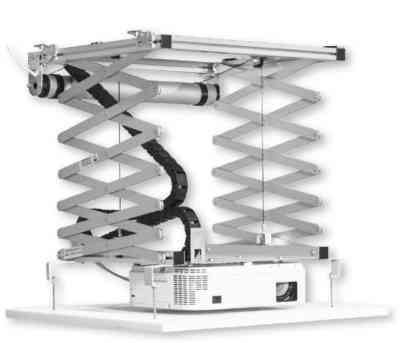 Our new SPEED SOLO system saves installation time. 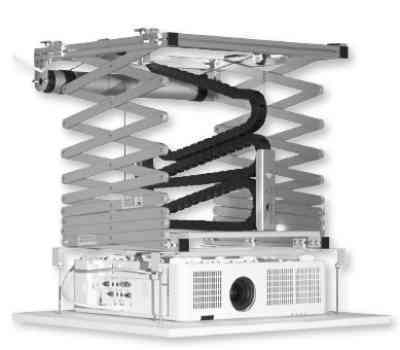 Grey anodized aluminium housing for PRO series and white RAL 9010 powder coated aluminium housing for HC series.